Author Bio – Russell Herman Conwell (February 15, 1843 – December 6, 1925) was an American Baptist minister, orator, philanthropist, lawyer, and writer. He is best remembered as the founder and first president of Temple University in Philadelphia, Pennsylvania, as the Pastor of The Baptist Temple, and for his inspirational lecture Acres of Diamonds. Summary – The text contained in this essay originated as a speech given over 6,000 times around the world. It begins as a story about a man who sold his property in a futile and endless search for diamonds elsewhere. 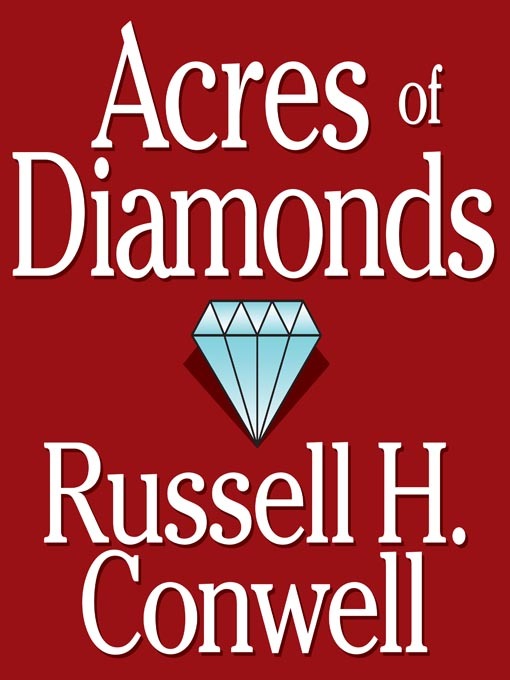 The buyer of the property discovers that there is one of the richest diamond mines in the world right in his back yard. He expands on this story through other examples, imploring the reader to stop looking for opportunities elsewhere and focus on what they do have. Main Takeaway – You do not need to look to greener pastures for success or opportunity. You have the resources to achieve your goals in your present environment. Click to Download Your Free PDF Copy!